If you owned a gas station and people were constantly stealing from you there's a chance you would get tired of it after awhile. It seems that may have been the case for a business owner in Florida when a guy enters his store and runs out with three 18-packs of Natural Ice beer. 22-year-old Mehedeun Hasan of Lakeland can be seen running to the office for his gun and his father who is a co-owner chases after the beer-runner. 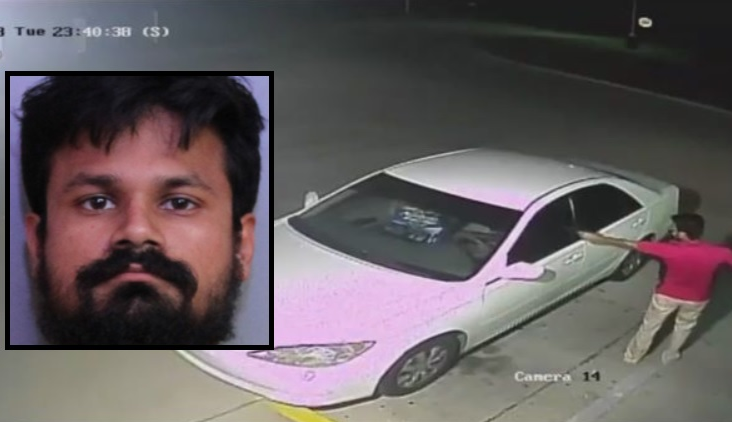 Surveillance video shows Hasan fumbling the gun as he runs out the door and points it at 43-year-old Rennie Defoe, Jr. who is fleeing in his 2005 Toyota Camry. Although it is difficult to tell when Hasan fires, at some point during the escape Defoe is struck in the arm and chest. The value of the beer Defoe stole is about $36. The Polk County Sheriff’s Office said Defoe was recently released from prison and ended up crashing his vehicle less than a mile away from the gas station. He was taken to Lakeland Regional Health Medical Center where he remains listed in critical condition. Hasan has no criminal history but has been charged with attempted murder among other charges. Defoe's criminal history ranges from robbery to domestic battery and drug possession. Clearly the average will become upset when someone steals from you, but murdering someone for three packs of beer requires more than normal anger. Hansan's belief system and value for life leaves a great deal to be desired and makes him dangerious. Kill the lowlife scum and dump him in a canal or dumpster. Erase the tapes. 3 18 packs is just plain greedy. well I was sympathetic to the shopkeeper until I read the name- "Mehedeun Hasan"
it appears they both got what tbey deserved! It is evident that the police had done nothing to stop the repeated crimes against the Hasans, Are they obligated to just sit there and have their means of living violated by criminals? Potentially deadly force as perfectly reasonable here as a last resort as long as he doesn't kick the suspect while he's down or finish him off with one to the head. This is essentially just like cattle rustling which has long been met with deadly consequences. he should have done like the cops. stand in front of the fleeing vehicle so that they can justify deadly force. monkey vs crazy arab… arab wins.